Cần Thơ city’s Population – Family Planning sub-department in the afternoon of July 11th organized the gathering on the World Population day July 11th 2016 under the theme entitled “Investing for female teenagers”. Attending the gathering were representative leaders of the Health Department and 60 delegates who are cadres of the population sector of urban and suburban districts. After listening to representatives of Cần Thơ city Population Sector, they reviewed meaning of The World Population Day, July 11th, delegates were informed outstanding results of communications campaign on providing reproductive health service, family planning, the 1st phase of 2016 and. As a result, contraception measures reached over 64 percent by plan. In recent years, the city’s population changed positively. 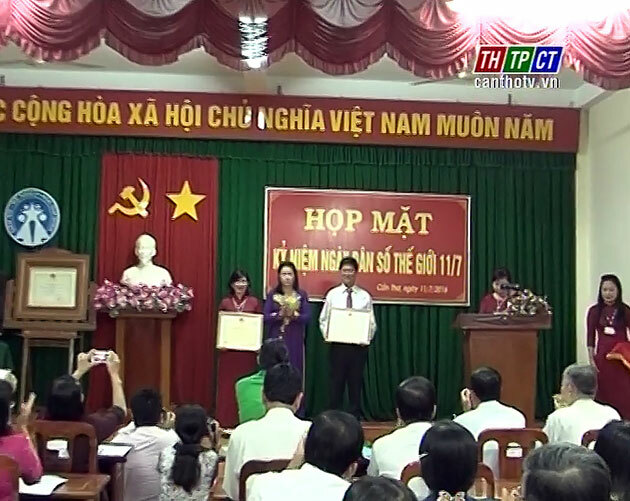 On the occasion, the organizers reward merit certificates of the Health Ministry to Cần Thơ city Population and Family Planning Department and 2 individuals, reward certificates of Cần Thơ city Department of Health to 9 teams and 30 individuals, who gained excellent achievements in the campaign./.